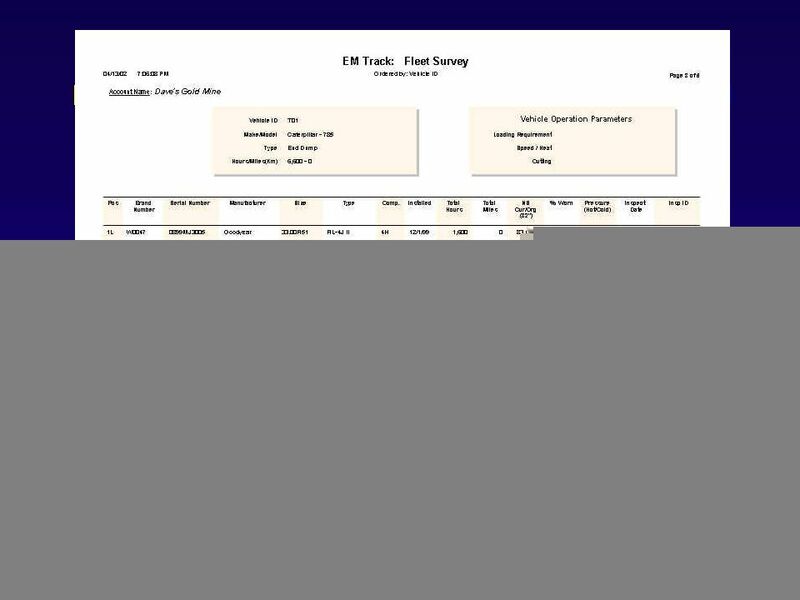 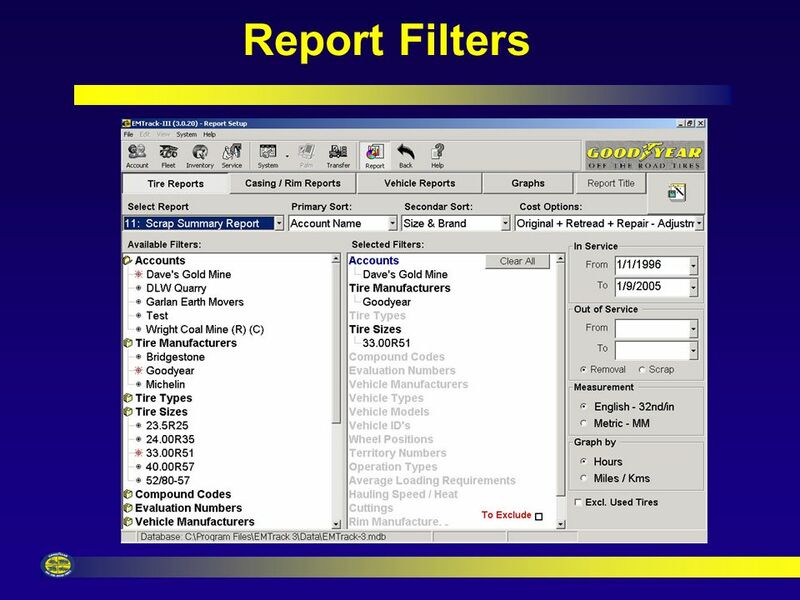 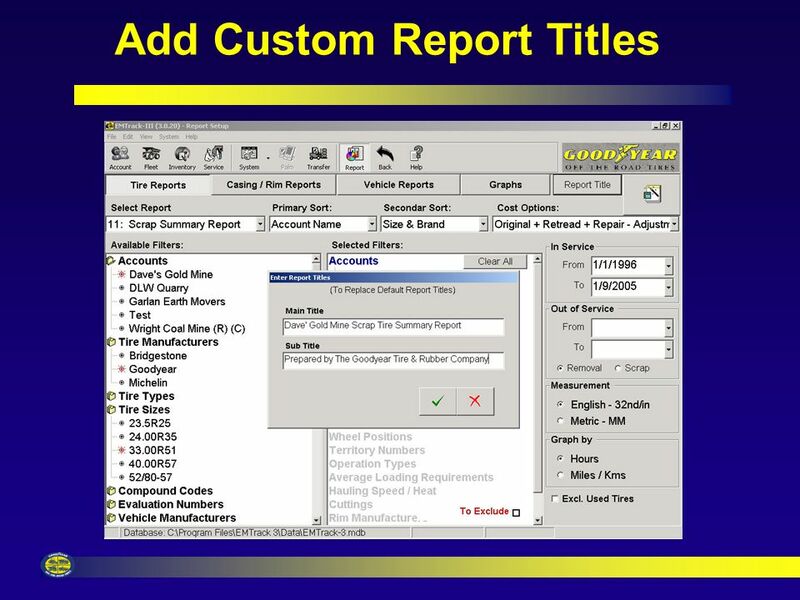 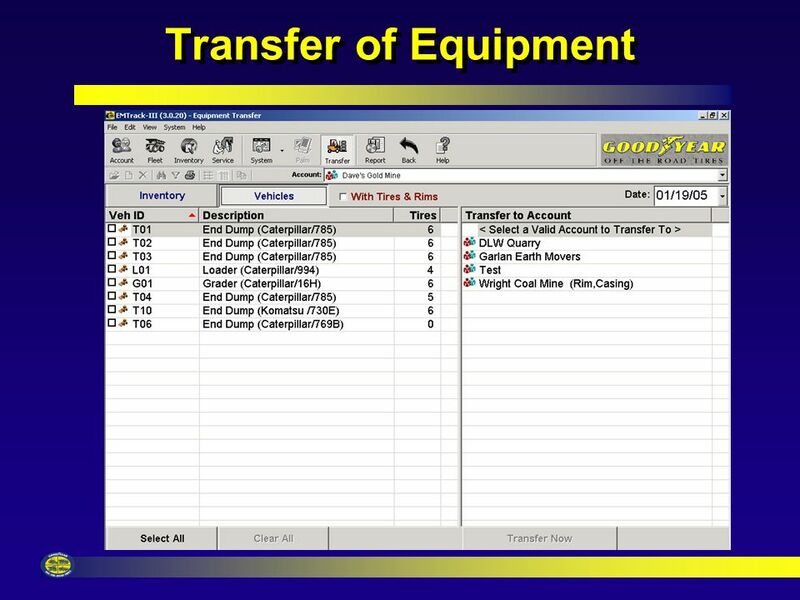 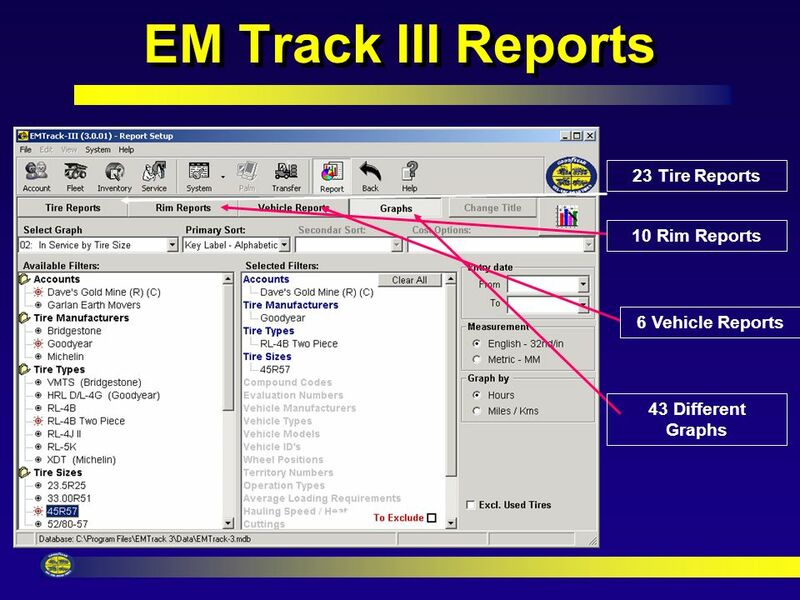 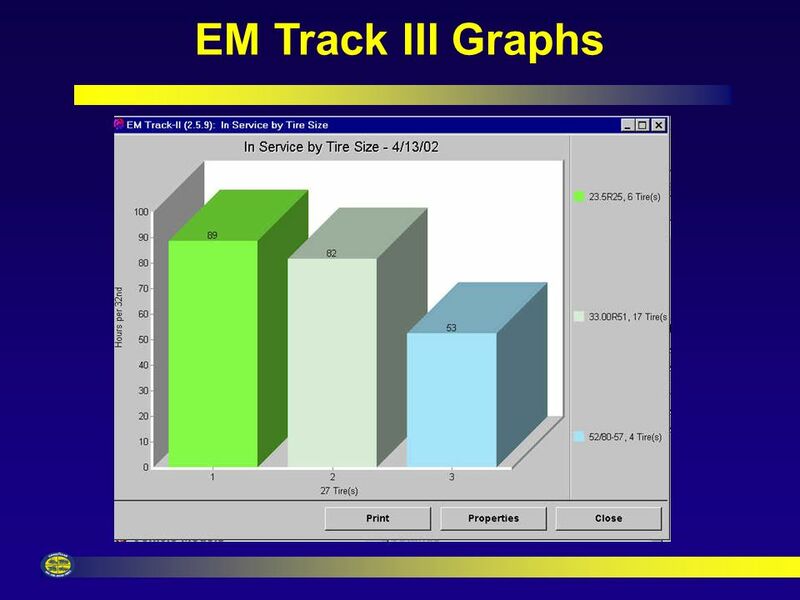 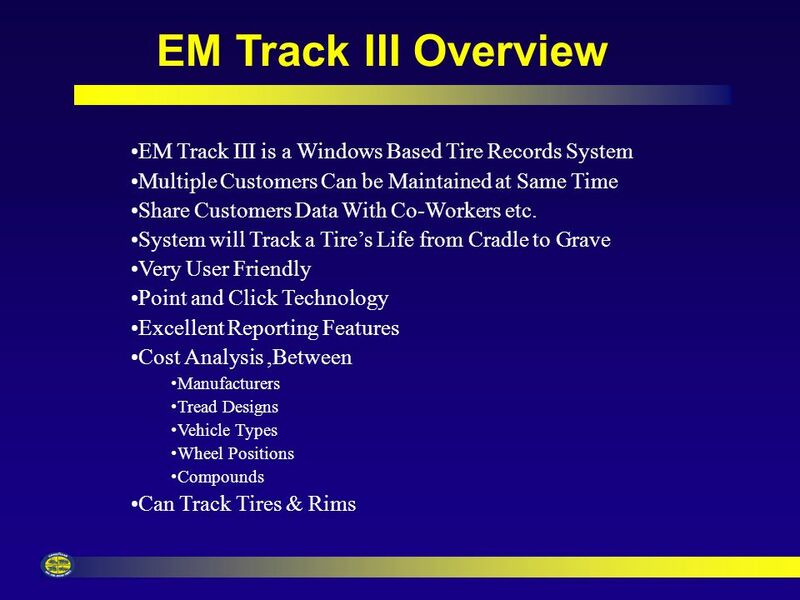 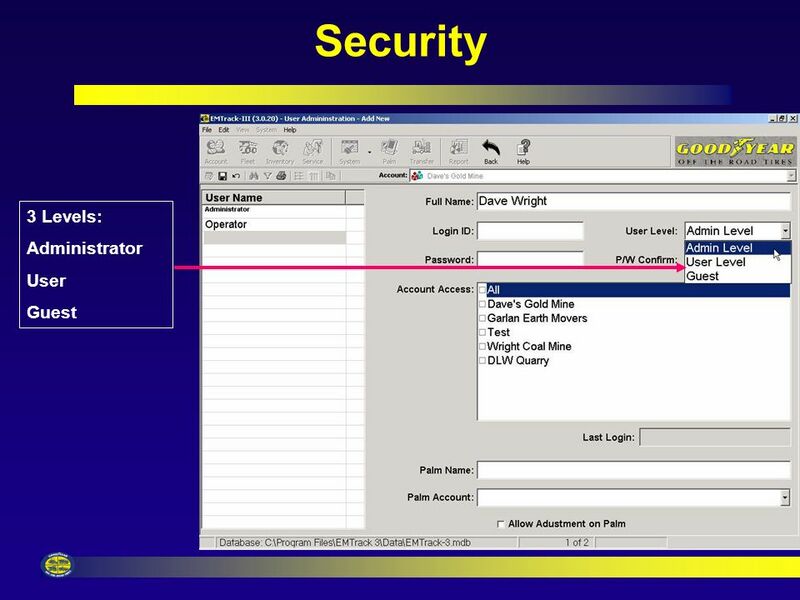 EM Track III Overview EM Track III is a Windows Based Tire Records System Multiple Customers Can be Maintained at Same Time Share Customers Data With. 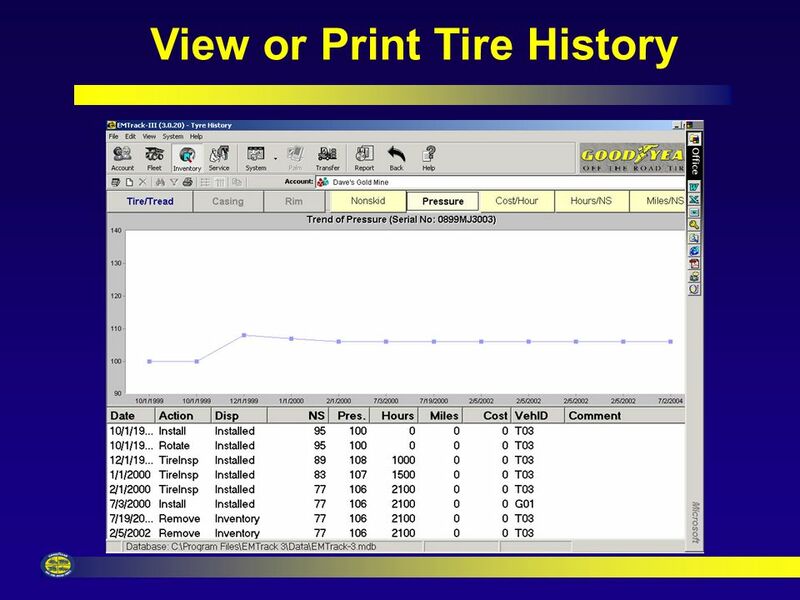 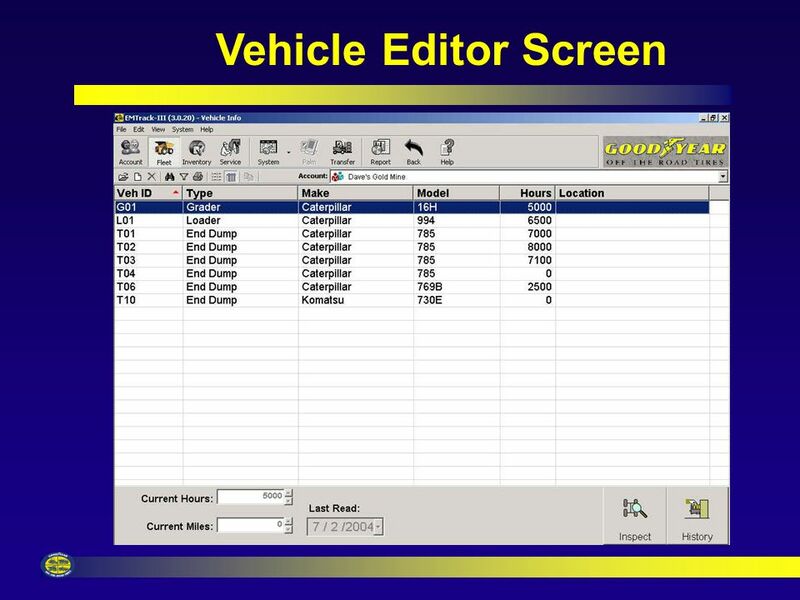 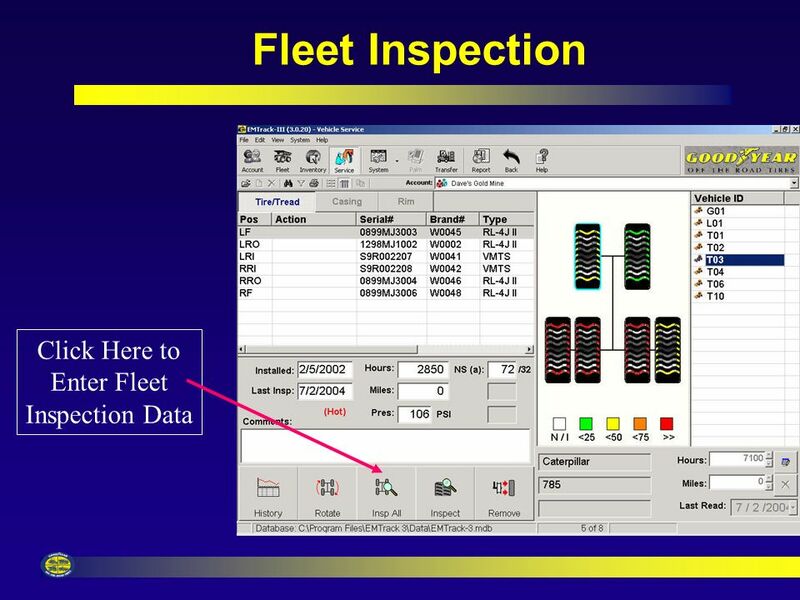 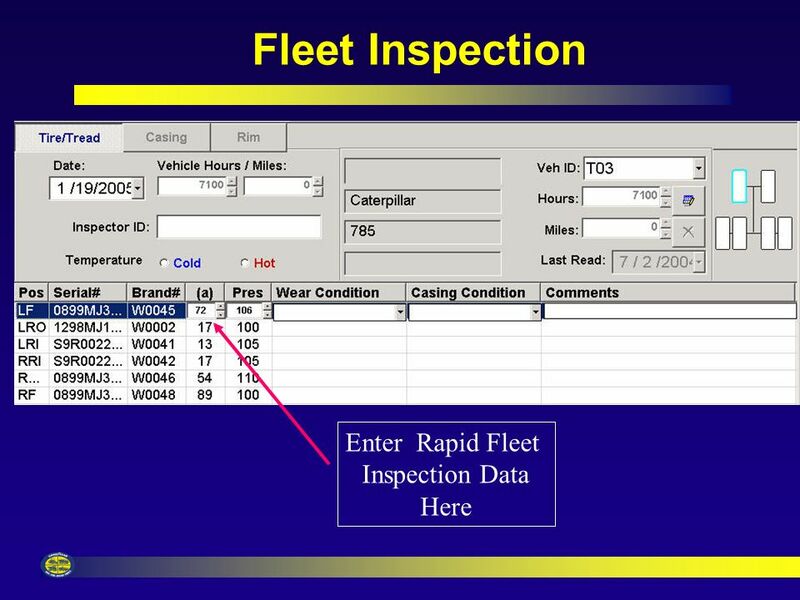 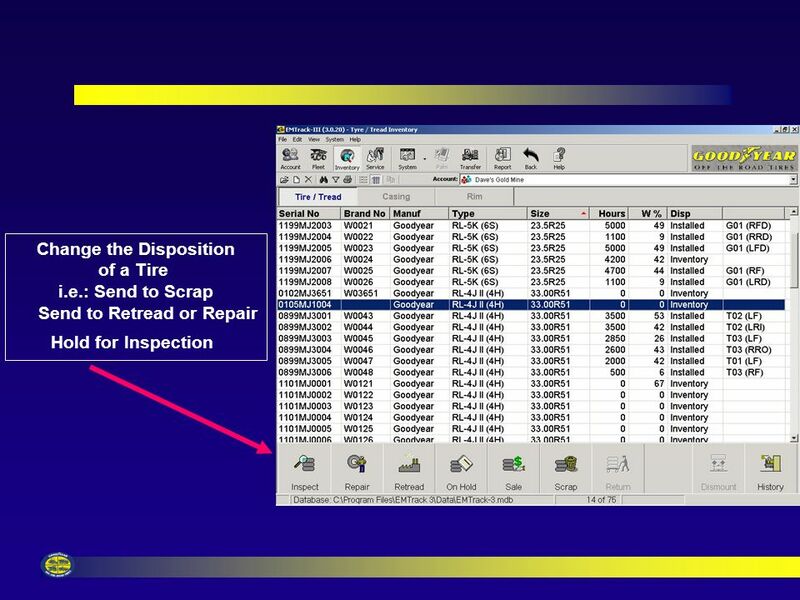 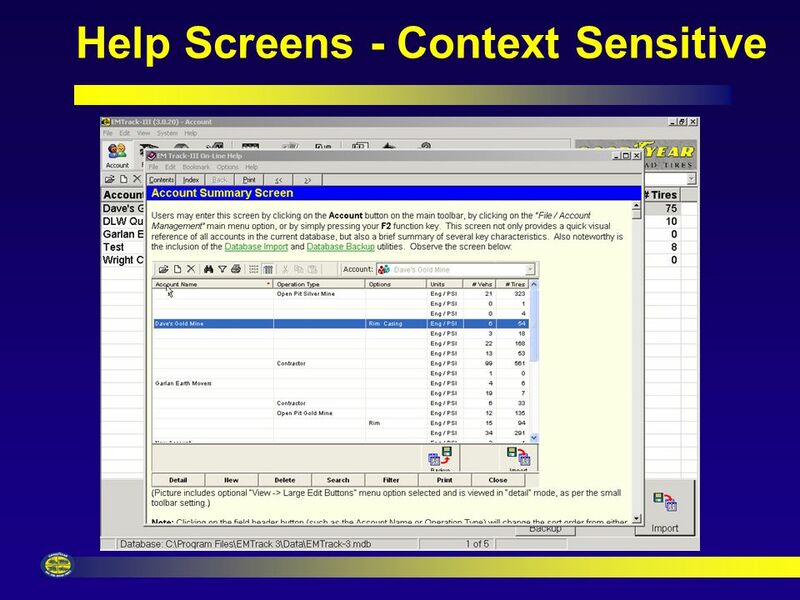 14 Tire Inspection & History Screen Inspection Report allows up to 3 NS measurements Easy to work with history screen. 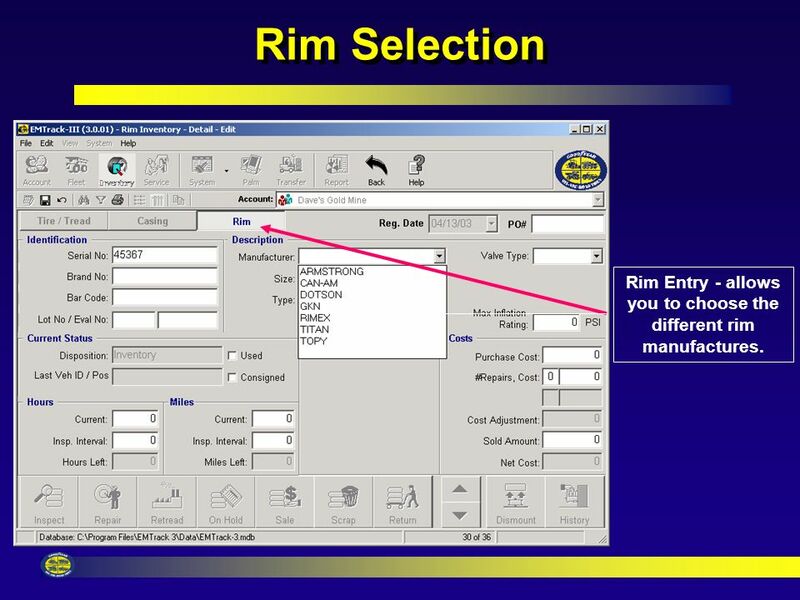 18 Rim Selection Rim Entry - allows you to choose the different rim manufactures. 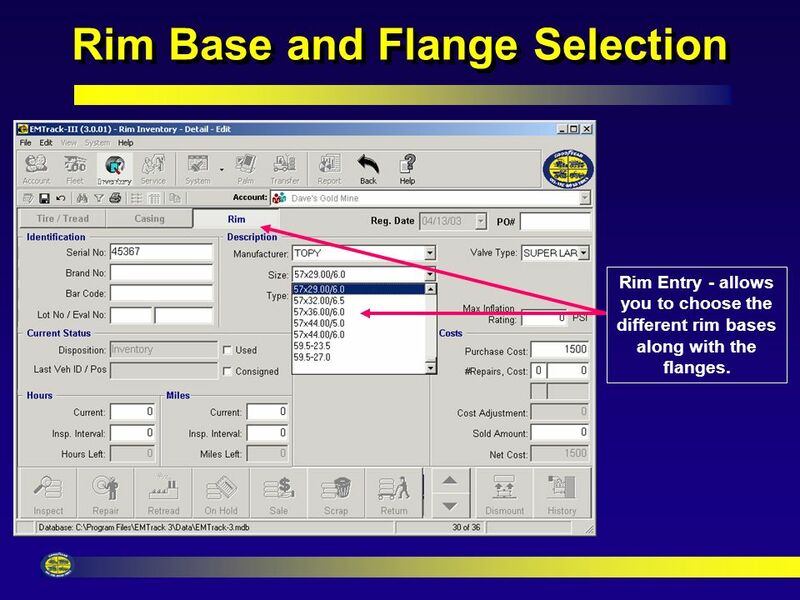 19 Rim Base and Flange Selection Rim Entry - allows you to choose the different rim bases along with the flanges. 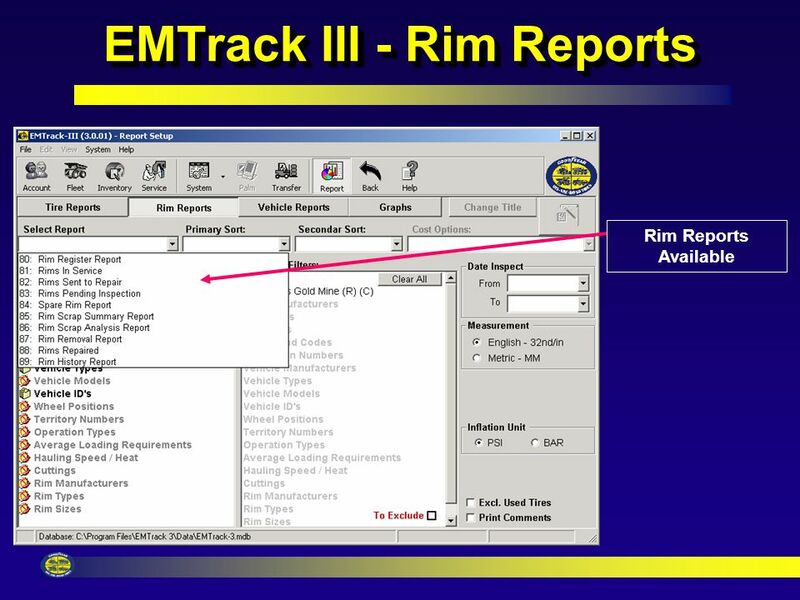 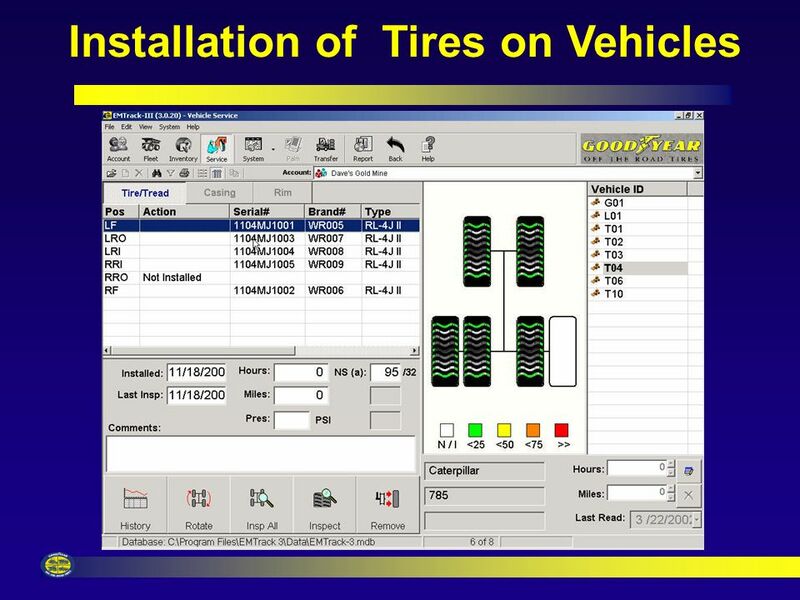 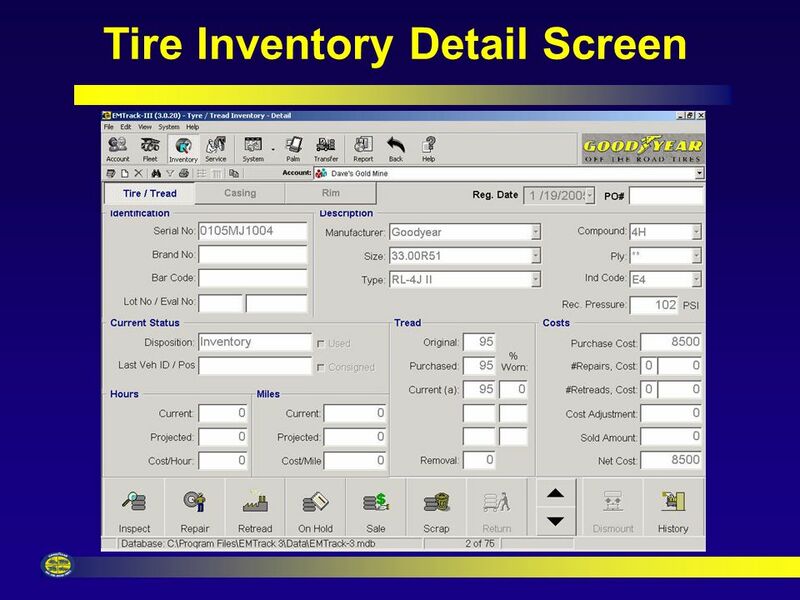 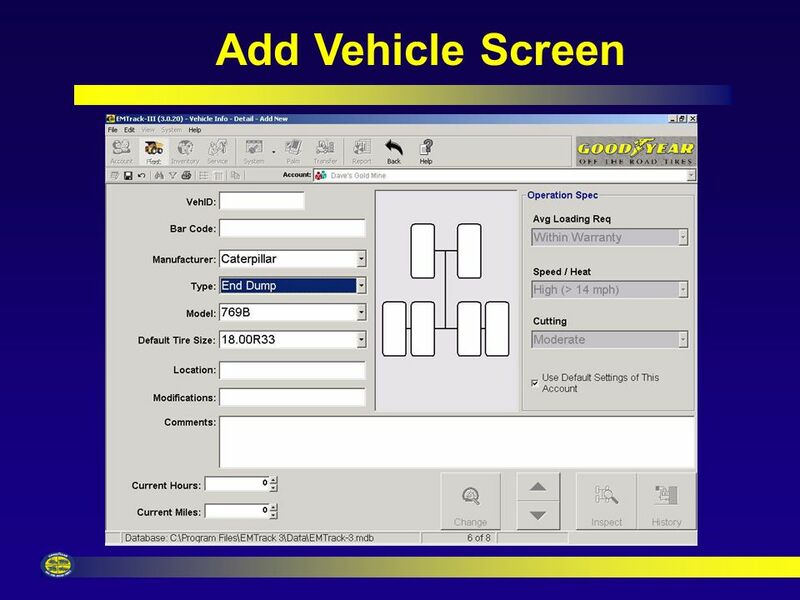 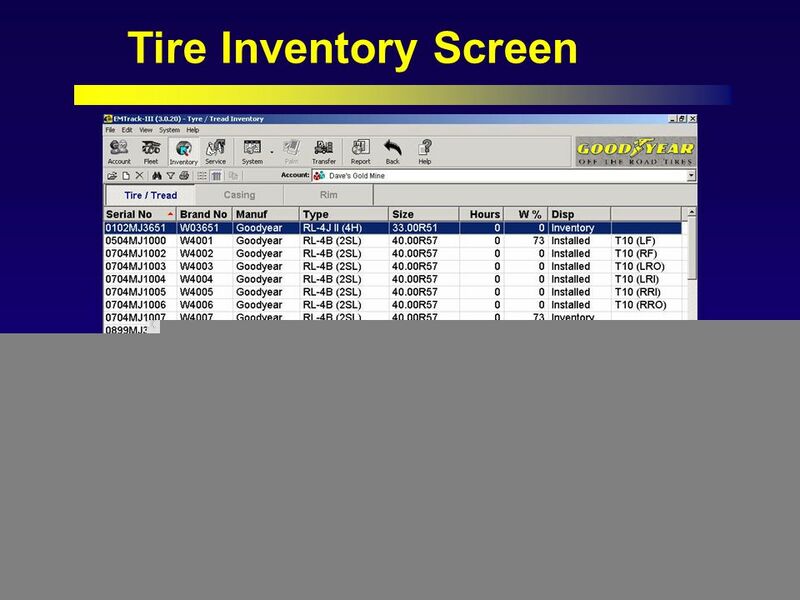 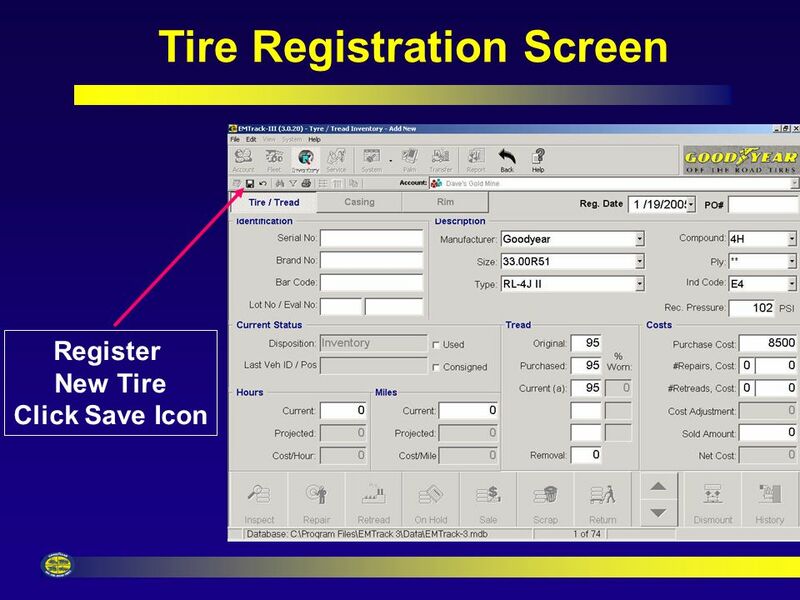 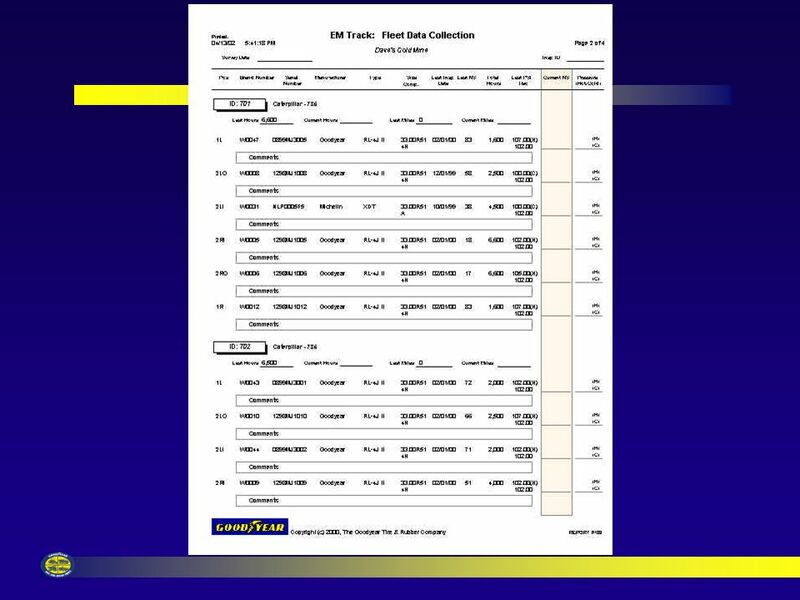 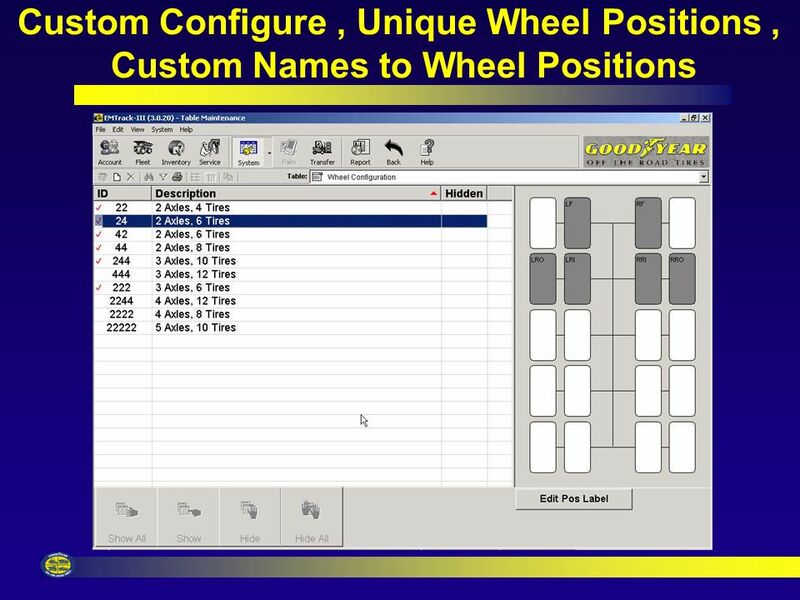 Download ppt "EM Track III Overview EM Track III is a Windows Based Tire Records System Multiple Customers Can be Maintained at Same Time Share Customers Data With." 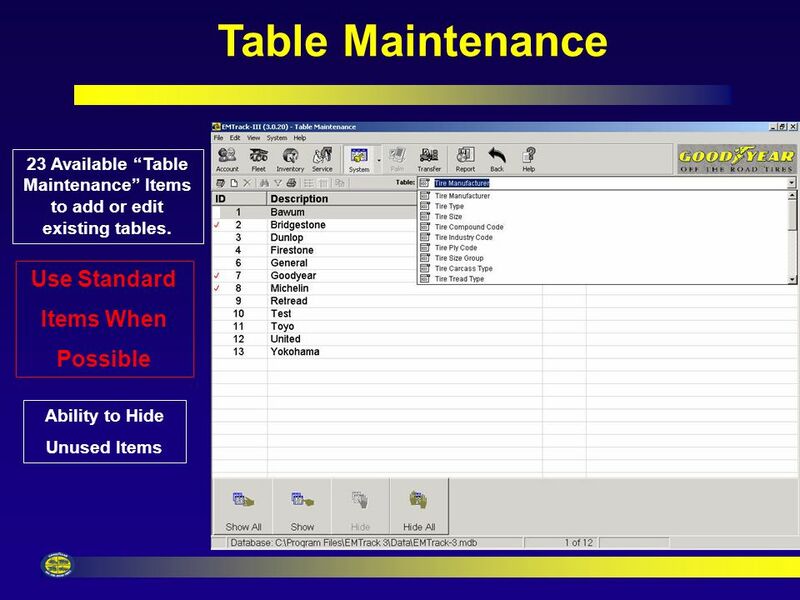 Database vocabulary. 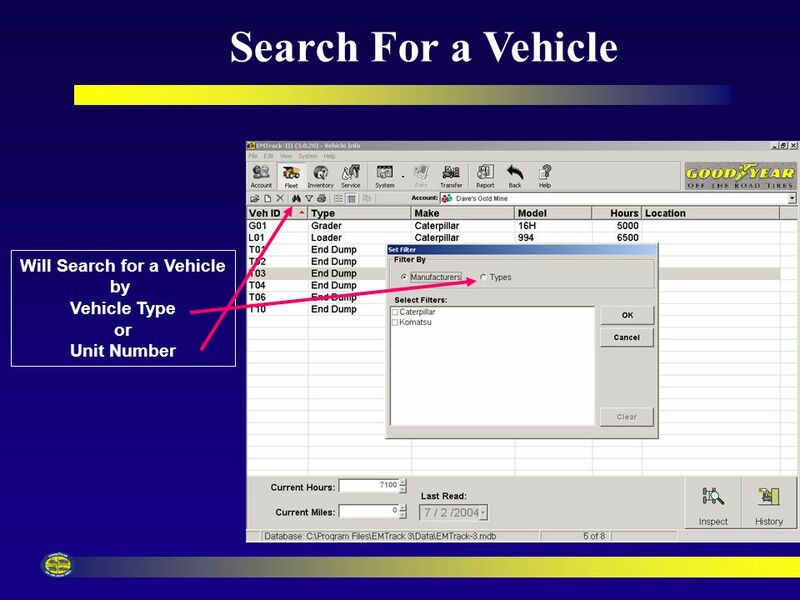 Data Information entered in a database. 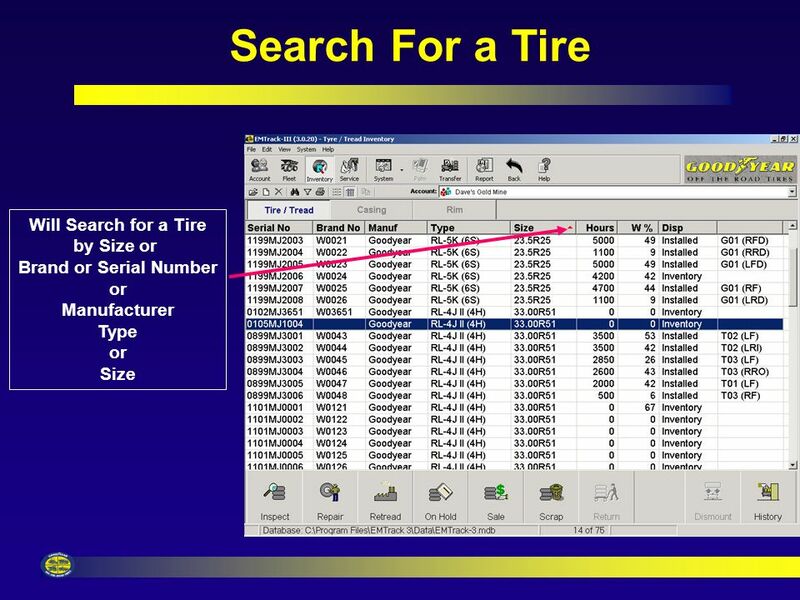 Support.ebsco.com Tutorial Creating a Basic Search on EBSCOhost. 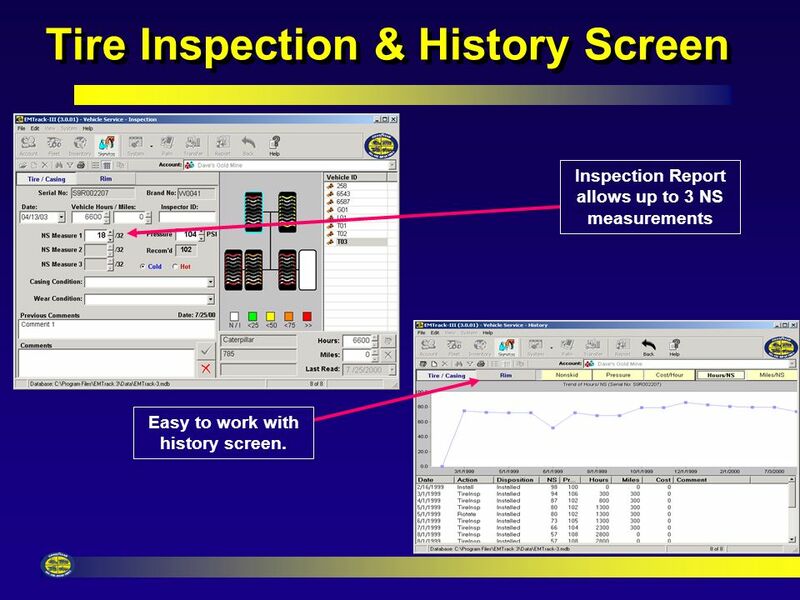 International Alert Users Association Conference November 10-12, 2011 Jeffrey Knoepke Preventive Maintenance System. 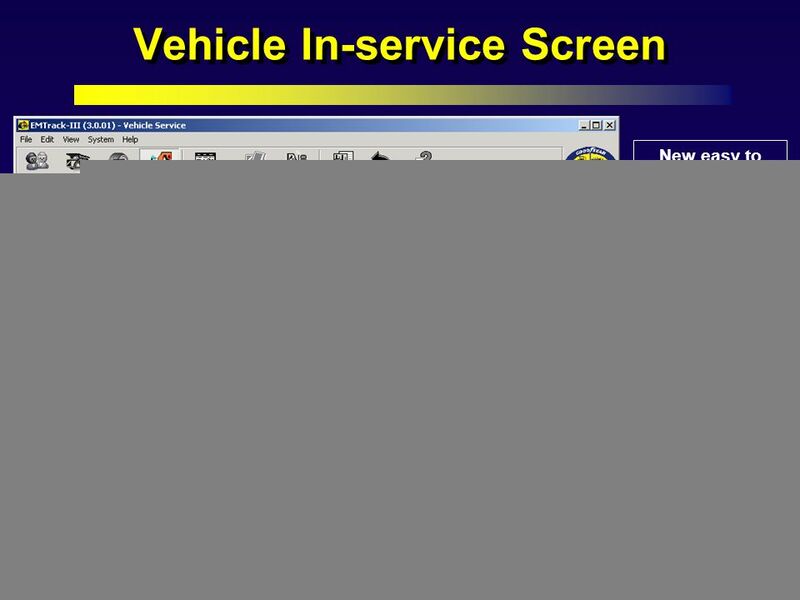 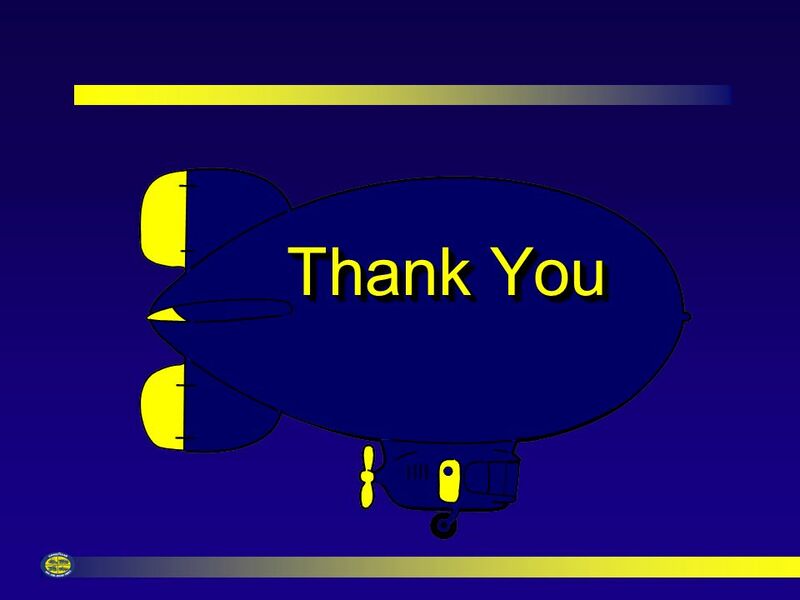 Service and Dispatch Updates Presented by: Derek Kratz. 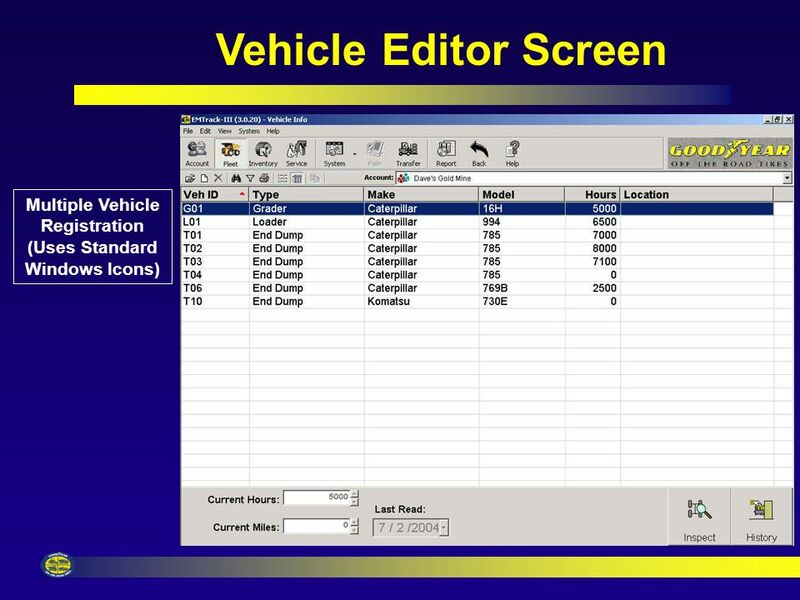 CBO CNF Manual. 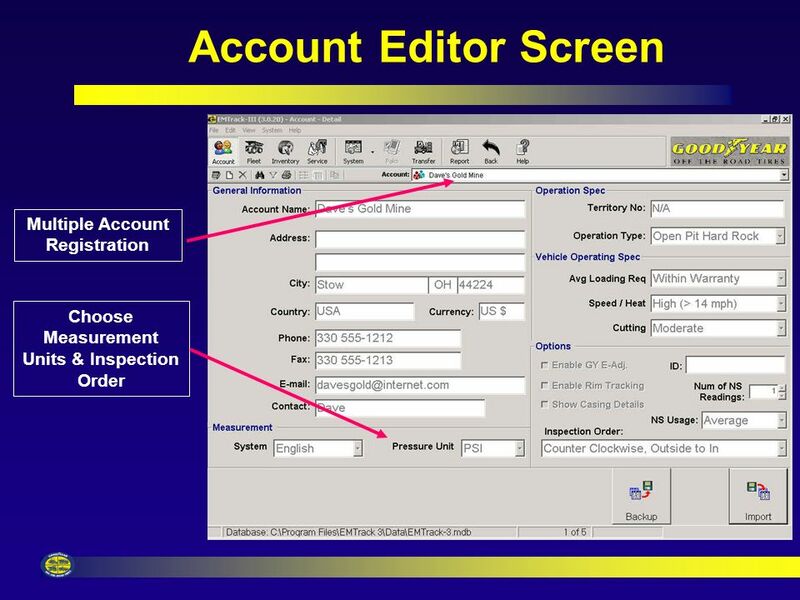 About CBO  CBO extensive information of product. 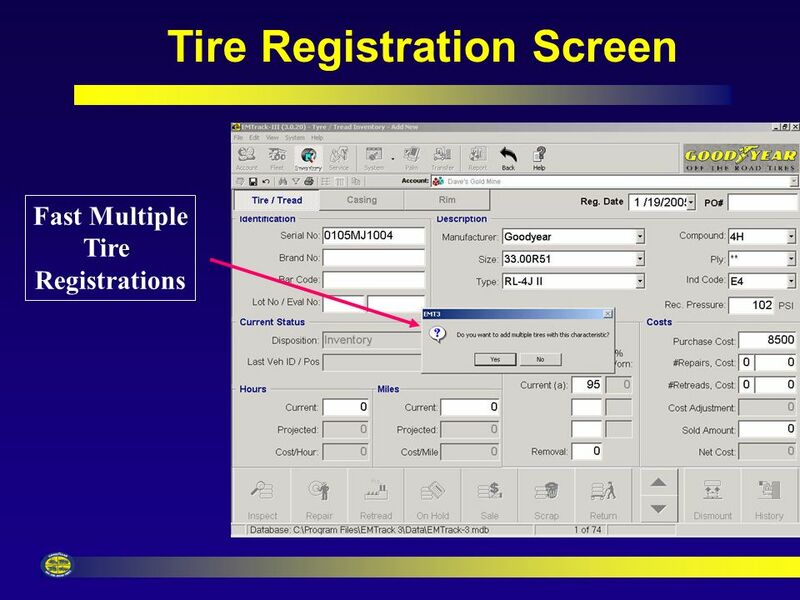  Easy to understand interface so that anyone will be able to use it without major training. 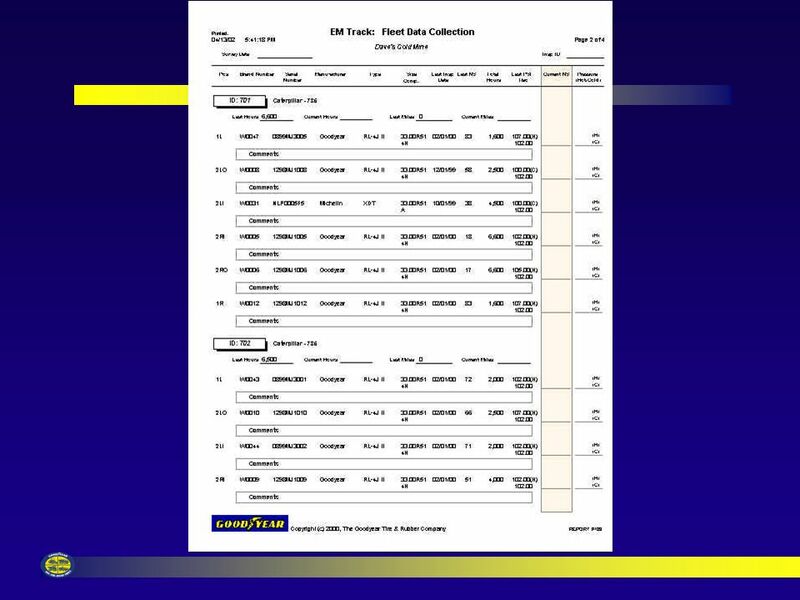 6/13/2005University of Maine System 1 General Ledger GL Inquiry Pages.